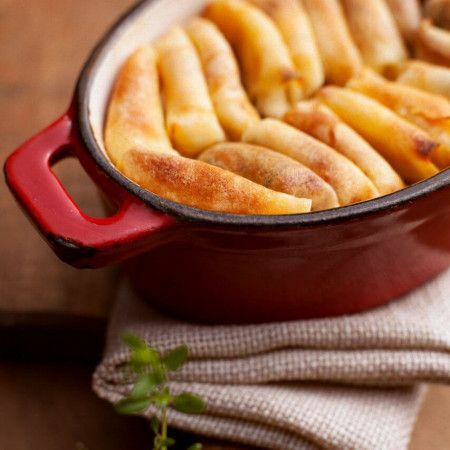 It seems that the pancakes in their modern interpretation came to the Odessa cuisine from the Polish cuisine. And if in Russian restaurants pancakes are served in the French manner as an antrème, then we, like our Polish neighbors, eat them necessarily hot and as a separate dish. 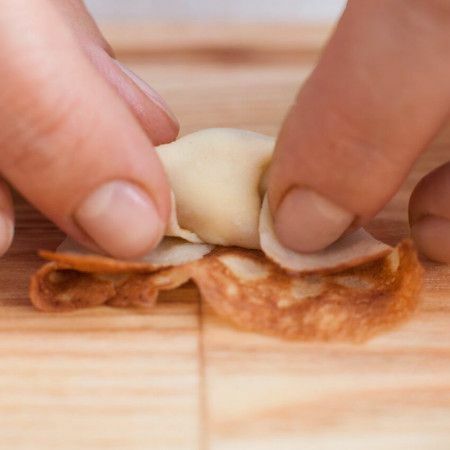 Whether it will be a dessert or a full-fledged snack depends on the filling. The only principle position of Odessa natives regarding the size of pancakes remains unchanged. I understand the question may arise: "Why so many difficulties?" I propose once to spend time cooking to a recipe and try. I am sure that the result will be a convincing answer. 50 g of sour cream. 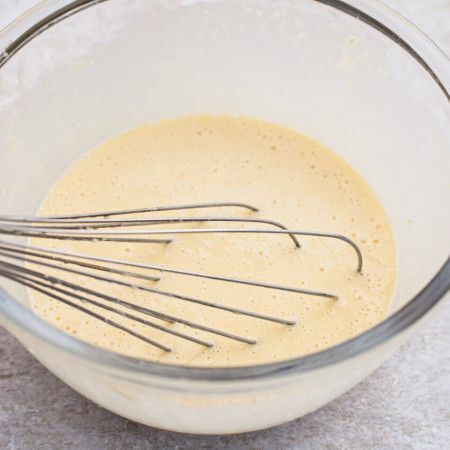 Let’s start with the dough for pancakes: grind eggs, flour, sour cream, sugar and salt until the sugar dissolves. Add milk. As a result, we should get a liquid homogeneous dough without lumps. Add seed oil to it and leave it at a room temperature for 30-40 minutes. And while the dough brew, you can prepare the curd filling. Wipe the fat cottage cheese through a sieve. Rub it with sugar, seeds from half a pod of vanilla and yolks in a homogeneous smooth mass. Add the washed, cleaned and pre-steamed raisins for 10 minutes. Mix again and proceed to the pancakes. To make them of the right size, take the smallest pancake pan, 10 cm in diameter. 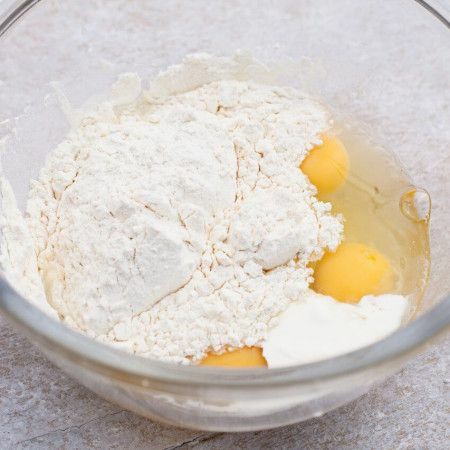 Since the dough contains seed oil, we will bake pancakes in a dry pan, greasing it only before baking the first pancake. Finished pancakes cut into 4 parts each. Spread a teaspoon of curd filling on the resulting mini-pancakes (yet no more will fit) and roll it. 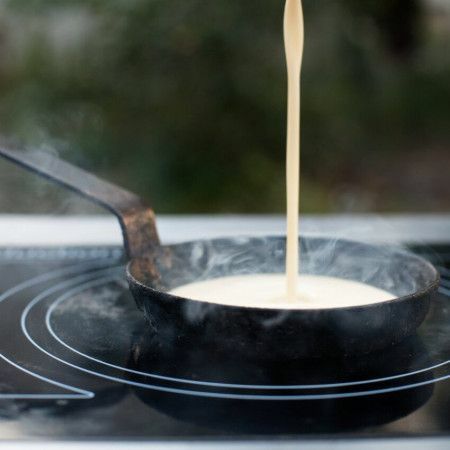 Lay the bottom of the ceramic form with an "empty" pancake and grease with melted butter. 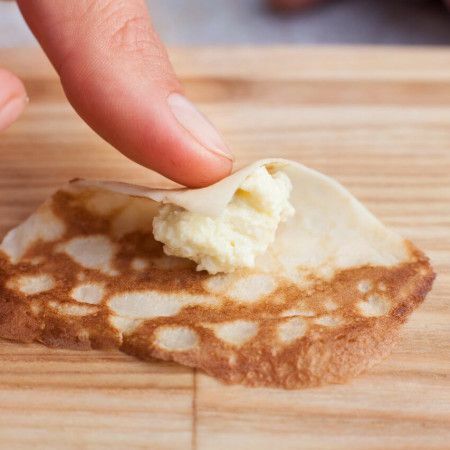 Lay a thick layer of pancakes with cottage cheese, constantly greasing them with melted butter so that they would soak. Top with melted butter and close the backing plate with a lid. Put it in the oven heated to 130 ° C and hold for 50 minutes, so that pancakes become well stewed, but not fried. Baking time depends on the size of the cake pan. Serve naleśniki with sugar powder and sour cream. 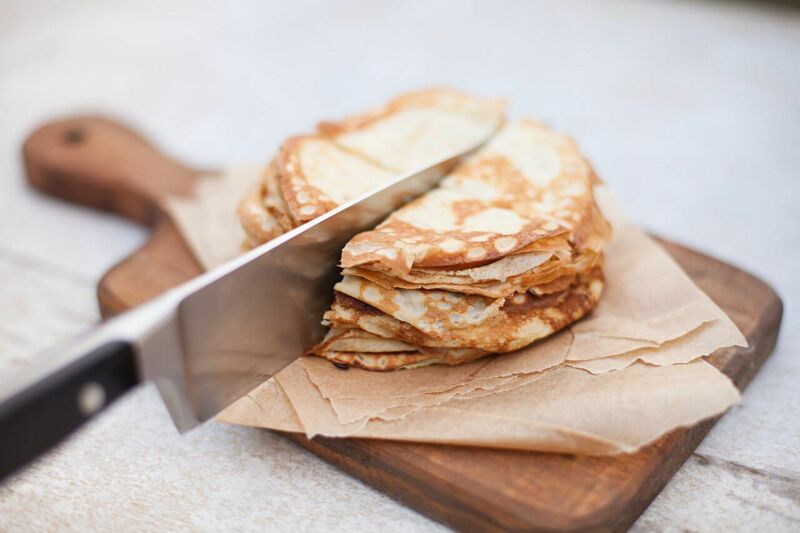 And mind please: you can take a frying pan of more size, but then you will get not the Odessa like pancakes of a woman's finger phalanx size, but Russian full pancakes. I do not want to offend them, but it is absolutely another dish that has nothing to do with Odessa cuisine.